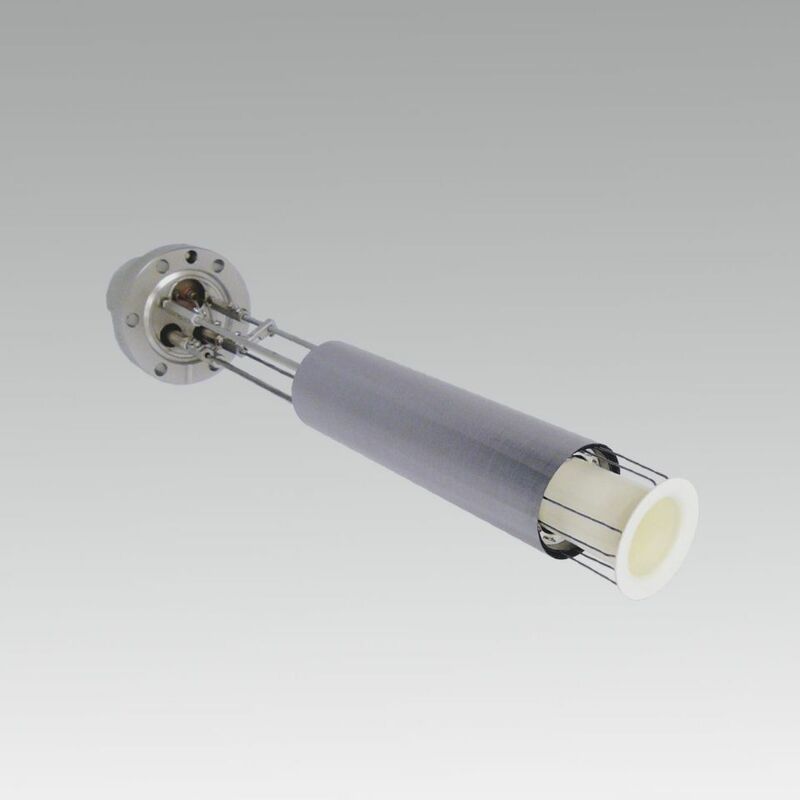 The CLC is designed for use in a MBE system for evaporation of Aluminium in temperature range up to 1400 °C. The radiation heating system consists of a wire filament and PBN rings for electrical insulation. At the orifice, the heating system is reduced (cold lip) to avoid the flow out of Al. The heating system and the temperature measurement are optimized to accurately control the temperature range between 1000 and 1200 °C. The cell can only be used with a PBN crucible. Createc offers the CLC in three versions: the standard version (CLC-ST), the wire version (CLC-W) without shielding near the orifice to enable an efficient cooling at the crucible orifice; and the cooled orifice version (CLC- CO) with an active cooling at the orifice of the crucible.